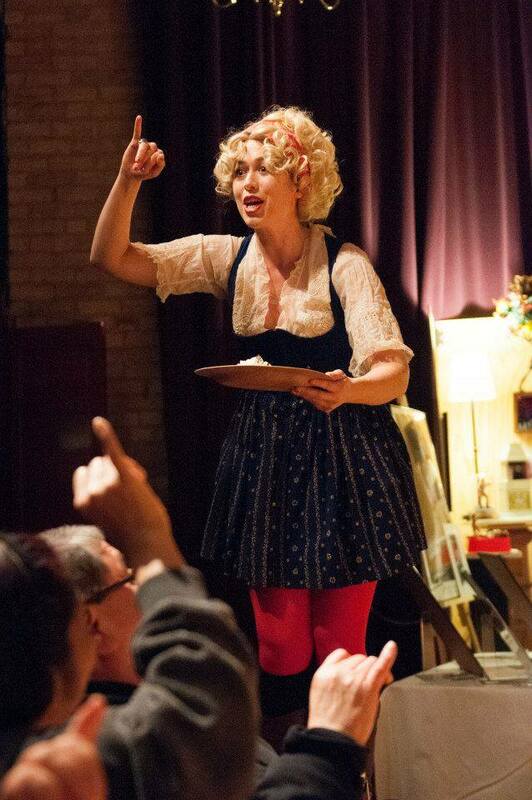 Ms. Luisa Eats is a hit cabaret comedy show created by Genné that has performed been at the Edinburgh and Minnesota Fringe Festival, in San Francisco and New York City since 2008. The show was inspired by the life of early 20th century Italian opera diva, Luisa Tetrazzini, who was known for consuming heaping plates of pasta before a performance and who also had a tumultuous love life. The show is peppered with Genné’s uproarious character improvisation, and operatic, folk and popular songs from around the world. Her saucy use of food and humor, and playful interactions with the audience, showcase her comic gifts and singing.